Start the season right exploring the outdoors by moving your meeting outside. After this long winter, girls will welcome the change of scenery. Encourage parents to do outdoor activities with first time campers before they leave for summer camp. You may even have an outdoor enthusiast on your team who would like to teach an outdoor skill to the girls. Visit a local park in your neighborhood. You could even have your bridging ceremony or start one of the naturalist legacy badges found in The Girl’s Guide to Girl Scouting. Find out more using the Badge Explorer to find more info. Attend a council-sponsored activity at one of our camp properties. 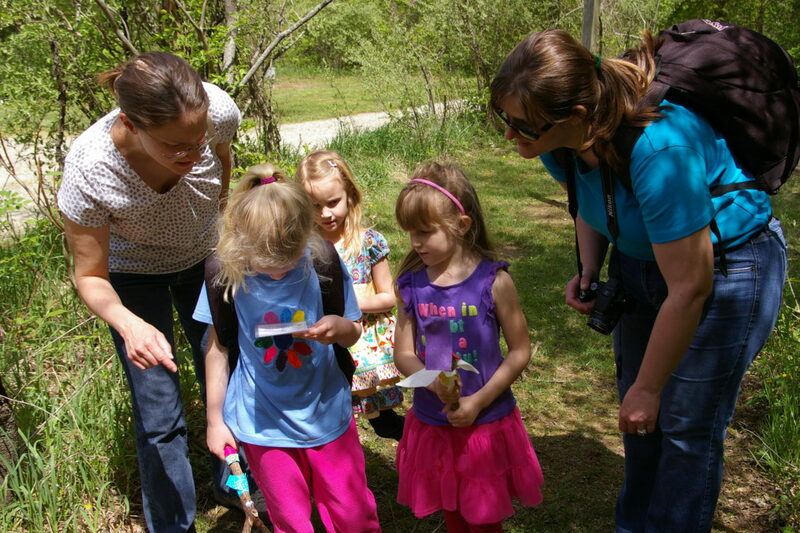 This spring, we have program opportunities for all age levels to get girls outdoors and engaged in the natural world. Some of these events include: Archery (JR-AMB), Climbing Wall (BR-AMB), Outdoor Daisy Nature Day (DA), Intro To Canoeing and Canoeing (JR-AMB), Geocacher (JR) and Letterboxer (BR). To learn more, check these out on eBiz and get registered. Sign up for Council Operated Troop Camp (COTC) at Camp Whip Poor Will. COTC is for troops, with a camp trained adult, that want to spend a fun and adventurous weekend at camp. This year’s theme of “Get out and Play” will feature a glow in the dark evening program, crafts, cooking any many outdoor activities. Space is limited, so register today! Don’t forget that there are many other resources out in your own community that offer quality Girl Scout activities. This is just the beginning of a long list of community partners that can be found in our 2013-2014 Program Opportunities book including: True Heights Outfitters, Cincinnati Parks, Brukner Nature Center, Hancock County Park District, Metroparks of the Toledo Area, Toledo Zoo and Wood County Park District. Research your local community for more.